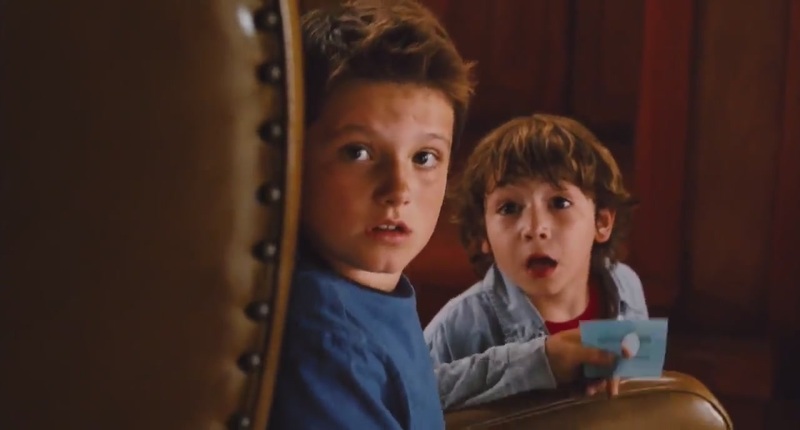 Zathura: A luar angkasa Adventure-Screencaptures. . HD Wallpaper and background images in the josh hutcherson club tagged: josh hutcherson photo josh actor the hunger games hutcherson peeta mellark zathura screencaptures. This josh hutcherson photo might contain ruang tamu, tanda, poster, teks, papan tulis, ruang tamu, ruang duduk, depan kamar, and salon.